Pam is the Co-Founder of Native Strategies a non-profit training and technical assistance organization, specializing in facilitation; infrastructure development; program design, customer service and people management. Pam is particularly passionate about her trainings including, Historical Trauma & Modern Drama, Healthy Relationships, Healthy Workplace, Healthy Parenting and the Auntie/Grandma approach to Home Visiting. For over two decades, Pam has provided training, consultation and project development expertise to meet diverse social, cultural, governmental and organizational needs of hundreds of tribal and non-tribal governments, organizations and communities throughout the United States, Canada, and the Pacific Basin. 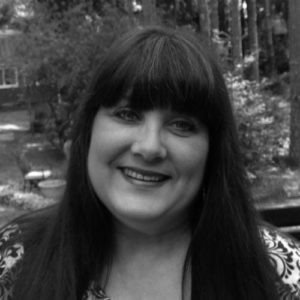 Currently Pam serves as the Senior Project Director for GrantVantage.com a Native woman-owned grant and contract management Software Company. GrantVantage is the first cloud-based solution of its kind to address the pre and post–award grant and contract management needs of federal, state, and Tribes, foundations, intermediaries, educational institutions and non-profit organizations. She is a consultant to the American Indian Health Commission for Washington State to address health disparities for Native Americans and Alaska Natives. She lends her expertise to the Nisqually Tribe in program development, strategic planning and parenting training. Pam is pursuing her master certification in Near Science (Neuroscience, Epigenetics, ACE’s and Resilience). 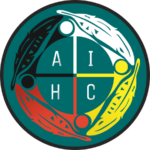 The Adverse Childhood Experience Study (ACES) that supports trauma impact on child development and validates the historical trauma experience of Native people. She co-designed through Culture2Culture Consulting the curriculum for the Washington State Governor’s Office of Indian Affairs, “Government-to-Government Training,” to improve the governmental relationships of Washington State agencies and the federally recognized tribes. Pam is a published author, a mother of six and an alumni of The Evergreen State College. Pam is best known for her unique cultural and holistic approach to training, education, healing, empowerment, and inspiration.